i promised for some recipe right? yes and with visual this time :P oh dear, it’s been long. 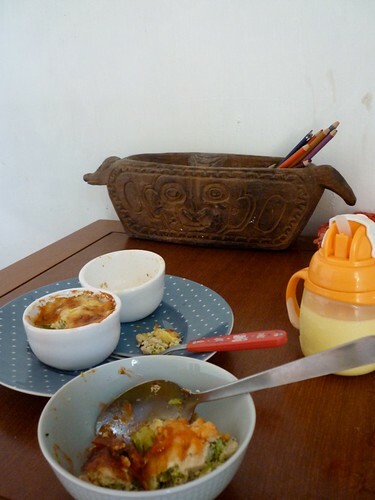 i’m sharing the macaroni brocolli tempe recipe that i made a week ago for a brunch with my son. an easy quick one. very nourishing and they got everything in there. great for toddler. there’s a peek of my mom’s inherited oven here. 1. mix the egg with milk, basil, thyme, salt and pepper, nutmeg powder. 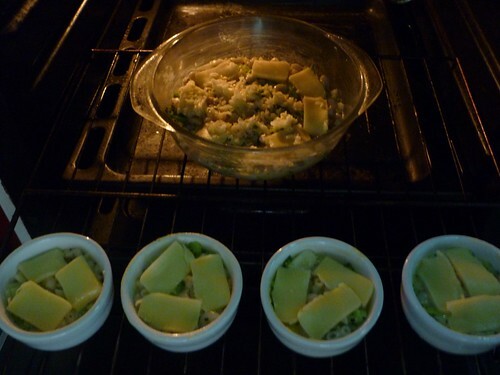 2. pour in the brocolli, tempe, cheddar, garlic and onion, mix them well. 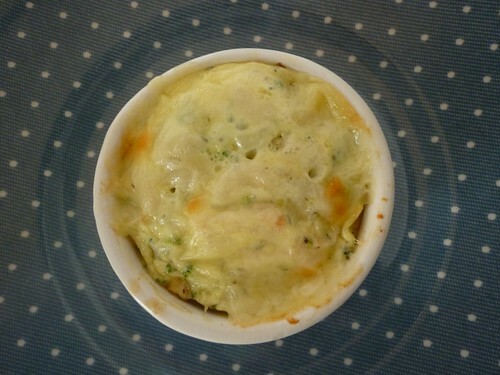 3. brush ramekins/heat resistant bowl with butter, pour the mix. 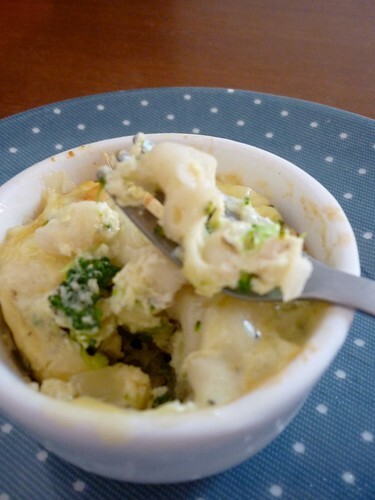 4. put mozzarella slices on top, get the oven ready and insert them to the oven. bhumy ate two ramekins. these ramekins are great for toddler and an easy serving. i love our brunch.